It remains too early to know how quarterback Russell Wilson’s long-term future will play out in Seattle. It’s not too early to identify the potential outcomes. On the surface, there are three options for the Seahawks and Wilson beyond 2015: (1) new multi-year contract with Seattle; (2) exclusive franchise tag, which prevents him for entertaining offers elsewhere; and (3) non-exclusive franchise tag, which allows another team to sign Wilson to an offer sheet, and to give up two first-round picks if the offer sheet isn’t matched. There’s also a fourth option. The Seahawks could trade Wilson. A trade on or before the 2015 deadline for doing so is highly unlikely; with the offseason programs concluded, it would be too hard for Wilson’s new team to get the most out of him. It also would be too hard for the Seahawks to prepare another quarterback, whether it’s a quarterback on the roster or someone who would be signed or, in theory, acquired via a Wilson trade. Making a trade before October even less likely is the reality that, before the two sides would divorce, they’d have to want that outcome. They’re not there yet, and there’s no reason to think they’ll be there before the trade deadline. But they could be there by February. If ongoing discussions (discussions that could be continuing as soon as this week) fail to result in a long-term deal, the Seahawks could opt for a trade of Wilson over mere placement of the non-exclusive tender and acceptance of a pair of first-round picks from whichever team convinces Wilson to sign. Here’s how it likely would unfold. The Seahawks would apply the exclusive franchise tag, preventing another team (like the Rams, a division rival) from pursuing Wilson. The Seahawks then could shop Wilson, simultaneously controlling his next destination and seeking compensation other than a pair of first-round picks. They could seek more than two first-round picks. (If Robert Griffin III was worth three ones and a two, what is Wilson worth?) The Seahawks could seek the first overall pick from whichever team earns it, if there’s a clear-cut franchise quarterback emerging in the 2016 draft. They could try to get a veteran quarterback as part of the package. And that’s where it gets very intriguing. 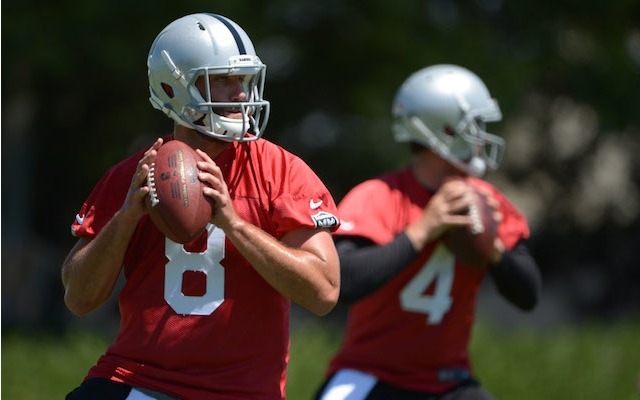 Three and a half decades after the Raiders and Oilers swapped Ken Stabler and Dan Pastorini, the Seahawks could send Wilson to another team for its starting quarterback. Plenty of teams would consider that. From Seattle’s perspective, the challenge would become finding the right fit for the offense — and for the short-term and long-term interests of the franchise. 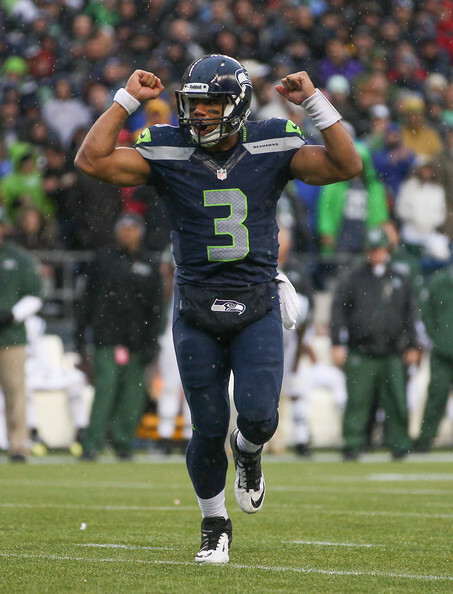 In the end, Wilson would get what he wants, a contract making him the highest-paid player in the game. And the Seahawks actually could end up with an arguably “better” quarterback who is willing to accept less money in order to pursue championships and to cement his own NFL legacy. As the first overall pick in the 2002 NFL draft, David Carr was a disappointment. As the second-round pick of the Raiders in the 2014 NFL draft, Derek Carr showed a lot of promise. David says his younger brother is going to be a better quarterback because Derek has the mental makeup needed, whereas David never got comfortable while trying to be the face of the expansion Houston Texans. David Carr’s rookie season was brutal, as he was sacked 76 times, fumbled 21 times and threw 15 interceptions. He thinks his little brother always looks more comfortable than he ever was. The Raiders hope Derek keeps looking as comfortable as he did as a rookie. And they hope they can build a better team around him than Houston ever built around David. In a rollicking look at the raucous Ryan family, Tim Graham of the Buffalo News shares some tidbits about the fraternal twins who seem to be a lot more identical than biology would suggest. 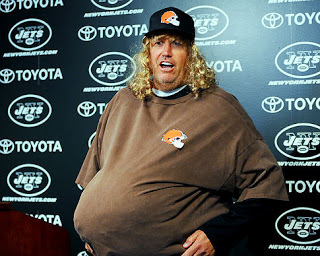 The profile of Bills coach Rex Ryan and Saints Defense coordinator Rob Ryan includes plenty of interesting anecdotes, including the one about the time Rob decided to leave Rex in jail. It happened after the brothers got into a fight following an argument over whether Rob would serve as Rex’s wingman on a date with a young lady. Rob declined, they argued, Rex got drunk, they argued some more, and then they wrestled. Eventually, Rex caught Rob with a right hand and got in their car and left, wearing a tattered and bloody shirt. Rob emerged from the fracas with a broken ankle and a broken nose. Rex, obviously, eventually got out of jail. If you’re in jail or otherwise has some time on your hands, check out Graham’s article. 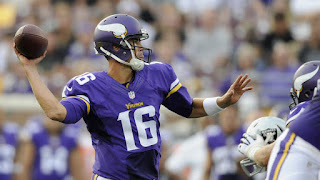 When the Bills acquired Matt Cassel in a trade with the Vikings this offseason, the idea was that Cassel could be a starter, at least as a stopgap until Buffalo found a long-term answer at quarterback. Cassel was so bad at minicamp that Mike Rodak of ESPN writes that there’s a real chance Cassel won’t even make the regular-season roster. At the moment EJ Manuel appears to have a leg up on Cassel, and Tyrod Taylor is being given every chance to win the starting job as well. Cassel could be the odd man out. A report last month said that Manuel is no lock to make the roster, either, which indicates that things are wide open in Buffalo’s quarterback competition. But there’s an important difference between Manuel and Cassel: Manuel’s contract is guaranteed, meaning the Bills are on the hook to pay him $2.8 million the next two years whether he’s on the team or not. Cassel’s $4.15 million base salary is not guaranteed, meaning the Bills save that money if they cut him before the season starts. All of which means that if Cassel doesn’t separate himself as the clear top quarterback on the roster, he may not be on the roster at all. And so far, Cassel is not distinguishing himself. The Texans could be picking a starting quarterback before training camp starts, which could be good news for the guy who signed as a free agent the more lucrative contract. Another factor favors former Browns starter Brian Hoyer — beyond the fact that he has been a starter for considerably more games than Ryan Mallett. 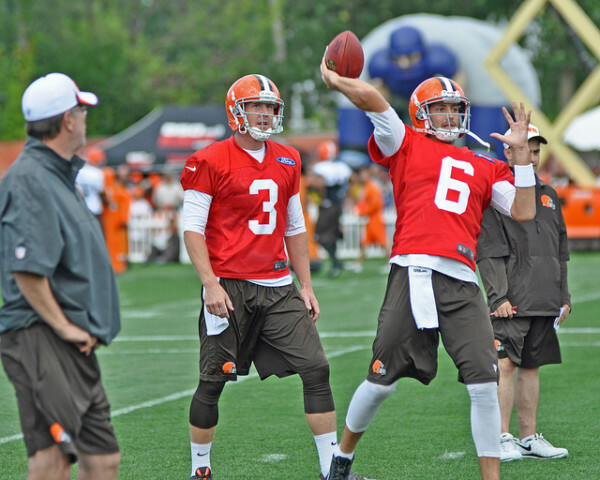 Hoyer has greater mobility, and coach Bill O’Brien’s offense values that. On Wednesday, O’Brien addressed the ability of his quarterbacks to roll out and to run bootleg plays. “I think that Brian Hoyer did a lot of that in Cleveland and he was very good at it,” O’Brien said, via a transcript distributed by the team. “He was very good at it. 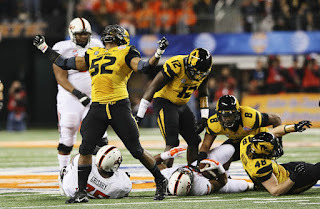 Against us last year, he had that bootleg where he hit the receiver I think for a touchdown against us. He’s very good at that. If a decision is indeed going to be made before training camp, the hay already is in the barn. The Texans have canceled Thursday’s minicamp practice, ending the offseason program. With wide receiver Dez Bryant — or those close to Dez Bryant — threatening to boycott regular season games, the Cowboys are using their own pulpit to illustrate the difference in bargaining positions. Via the team’s official website, Cowboys executive vice president Stephen Jones said there was still “wide gap” in negotiations with their franchise-tagged wide receiver. With wideouts including Demaryius Thomas, Julio Jones and A.J. Green looking for new deals, ascertaining market value is hard. “I don’t think anyone quite knows what that market is, and that makes it difficult,” Jones said. 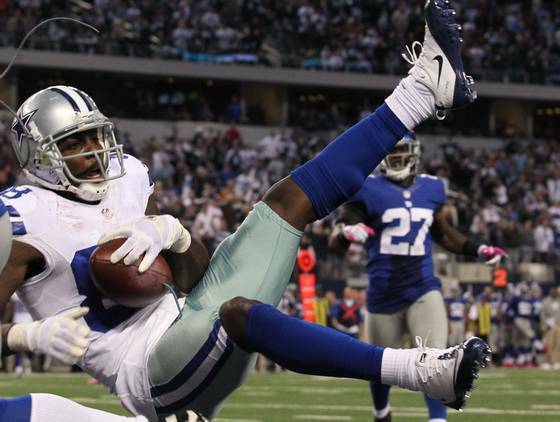 “I think once we figure out what that is, then there’s a way for us to get something done with Dez. But until that happens, it’s what teams think versus what players and their representatives think. There’s a wide gap right now. . . .
And until we get closer to the July 15 deadline for tagged players to reach long-term deals, there will doubtless be more noise from both sides as they try to bridge that gap. If you’re confused about the reasons Michael Sam left camp with the Montreal Alouettes, it seems you can get in line right behind the Montreal Alouettes. According to Herb Zurkowsky of the Montreal Gazette, Alouettes General Manager Jim Popp said he’s unclear about the reasons Sam left the team prior to the first preseason game. He’s since been placed on the suspended list. “There’s nothing to tell you. He wanted to go home, and that’s what he did,” Popp said. “I don’t know why. When a guy wants to go home, they go home. He had some personal things to take care of. That certainly seemed the case, as the CFL presented an opportunity for an undersized pass-rusher that the NFL might not have. But the reasons here get more convoluted with each dispatch from north of the border. Last Thursday, his agent replied to a reporter’s text by saying Sam had a migraine. Since then, the agent has gone quiet. The paper quoted a team source saying Sam reacted to a comment from a teammate prior to his departure. 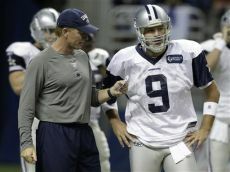 But Popp seemed willing to let him come back, if he wants to, and offered support to the former Missouri star. At least right up until the point when he didn’t, apparently. The New England Patriots have already found a replacement for Garrett Gilbert. 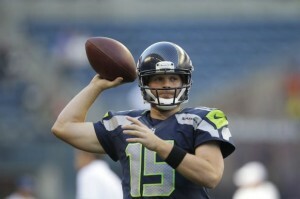 According to Dianna Russini of ESPN, the Patriots agreed to terms with quarterback Matt Flynn. Flynn had previously worked out for the team on Wednesday. If Tom Brady is going to miss games in September, Flynn would provide a veteran backup option for Jimmy Garoppolo. Flynn started four games for the Green Bay Packers in 2013. He completed 61.4 percent of his passes for 1,146 yards with seven touchdowns and four interceptions. Flynn’s performance against the Patriots in 2011 helped propel Flynn to a sizable free agent deal with the Seattle Seahawks in 2012. Flynn went 24 of 37 for 251 yards and three touchdowns against New England in Week 15 of the 2011 season. 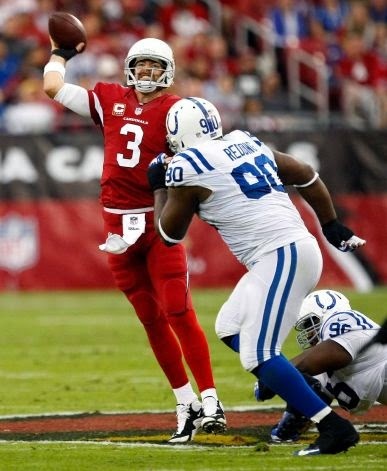 Since they had about a zero percent chance without him last year, the Cardinals want to make sure Carson Palmer is 100 percent in September. So even though he’s feeling good in June, he still might not take all the work. Via Josh Weinfuss of ESPN.com, Palmer said he was cleared “weeks ago” in his recovery from a torn ACL, and is ready to practice without restrictions now. Palmer said he’d participate in 11-on-11 drills in today’s minicamp for the first time, which the Cardinals have held him out of thus far. Why? Because Dante Fowler and Ryan Clady, that’s why. With bodies flying around, weird stuff can happen, so the Cards are taking the safe approach with their quarterback. “That wasn’t me saying I’m worried about somebody else,” Palmer said. “That was the trainers and the surgeon and the doctors and PTs and all that. I don’t think twice about it. . . .
And the Cardinals will be holding their breath, for a moment at least, after watching a promising season fall to pieces when Palmer’s knee went out last year. Cowboys quarterback Tony Romo is one of the NFL’s best golfers, but he’s not playing at all this offseason. Romo told Clarence Hill of the Star-Telegram that his back injuries have made him decide to put all his offseason energy into keeping his back healthy. There’s no place for golf in that. Romo said he doesn’t view giving up golf as a sacrifice, considering that a healthier back will make him better at his first sport. That’s a wise decision for Romo. There will be time for golf in retirement. 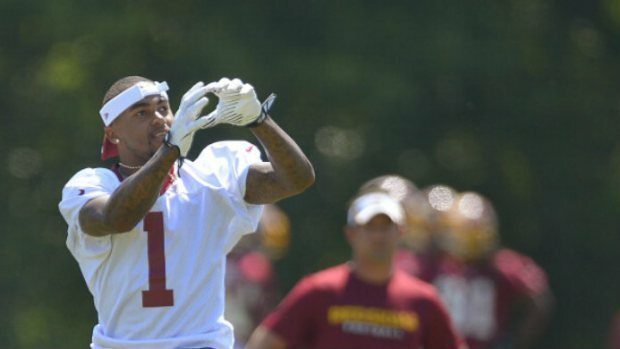 Wide receiver DeSean Jackson’s absence from organized team activities last week didn’t elicit much of a reaction from Redskins General Manager Bruce Allen, who said that attendance at voluntary practices was “up to each player” and that he was confident Jackson would be “ready to go” once he did report for work. That didn’t stop some from criticizing Jackson after he was spotted at an NBA playoff game while the team was practicing, but Jackson doesn’t have much concern about such criticism. “I don’t play for them and I don’t hear about them. I live my life to do what I need to do,” Jackson said Wednesday, via Brian McNally of 106.7 The Fan. Jackson said that he had “personal business” to take care of and that the team was aware that he wouldn’t be joining them. He also added that there was still ample time for him to work with Robert Griffin III and the other quarterbacks on the team before the start of the season. Coach Jay Gruden echoed Allen’s comments about the low level of concern about Jackson’s absence and said that Jackson looked good on the field upon his arrival for work, which should put a pin in this offseason conversation point. Eagles quarterback Mark Sanchez said after the team signed Tim Tebow that Tebow was just a camp arm, brought in as “another guy to throw.” Now Sanchez says those comments were misconstrued. Tebow, who served as a backup to Sanchez with the Jets in 2012, said he has nothing but positive feelings toward Sanchez. 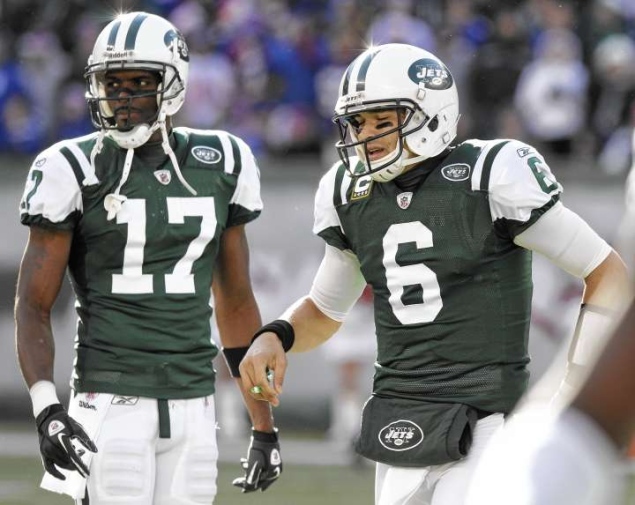 Sanchez and Tebow didn’t have much of a competition in 2012, and they aren’t really competing this year, either: Sanchez’s competition is with Sam Bradford for the starting job, while Tebow’s competition is with Matt Barkley for the third-string job. So there’s no real reason for the two of them to view each other as rivals.